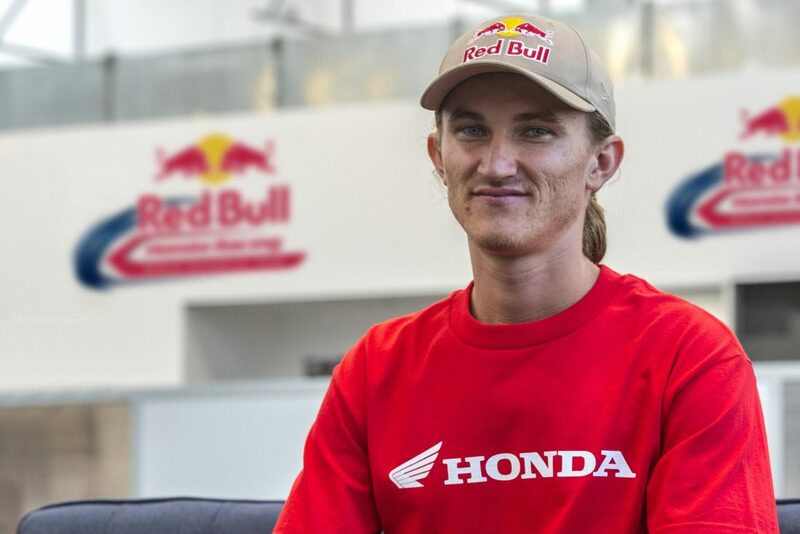 The Red Bull Honda World Superbike Team is pleased to announce that 24-year-old American rider Jake Gagne will team up with Stefan Bradl to take part in the US Round of the 2017 FIM Superbike World Championship on board the team’s Honda CBR1000RR Fireblade SP2 machine. Born and raised in Ramona, California, Gagne is currently competing in the MotoAmerica Superbike Championship on the Genuine Broaster Chicken Honda CBR1000RR SP2 (Fireblade) and brings with him a wealth of success in various competitions. Jake won the Red Bull Rookies Cup at the age of 18 in 2010, before a year in the CEV Moto2 Championship. He then returned to America where he won the Daytona SportBike Championship (2014) and the MotoAmerica Superstock 1000 Championship the following year, showcasing his talent. Jake is now ready to make his WorldSBK debut on the Red Bull Honda World Superbike Team’s Fireblade.